Phenomenology provides a framework for understanding the dynamic, complex processes of everyday lived experiences. We suggest that the virtual work environment is fertile ground to utilize a phenomenological approach. Centralizing the lived experiences of organizational members frames the utility of this method throughout this chapter. A historical discussion of the roots of phenomenology, its application to the virtual work environment, a potential research study, and recommended uses and limitations of this approach are offered in this chapter. The virtual workplace is an important site for extensive qualitative studies. Examining the “lived” experiences of those organizational members engaged in virtual work is of critical importance as organizations experience a radical structural shift in how work is constructed and accomplished. This chapter offers a critical need of using a phenomenological approach to the study of virtual work in all of its forms. Phenomenology describes the meaning of the lived experiences for several individuals about a concept or the phenomenon (Creswell, 1998). Phenomenology is primarily concerned with exploring the structures of consciousness in human experiences (Polkinghorne, 1989). With the rapid expansion of the virtual workplace due to the internet and remote connectivity, organizations are taking new shapes and forms due to the increasing opportunities afforded by innovative and practical communication technologies. Organizational members no longer need to physically be in the same place to accomplish work goals. This rapid transition is fertile ground for qualitative researchers interested in phenomenological studies. 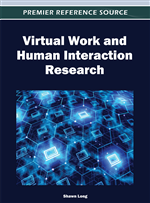 By bringing sharp focus to the lived experiences of virtual workers, scholars and practitioners have an opportunity to forge new knowledge areas about virtual work and its impact on virtual employees and the organization.